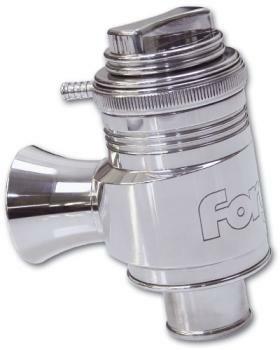 Forge Motorsport Blow Off Valve - Type RS MITSUBISHI - Pann Auto Performance - San Diego largest aftermarket automotive performance parts - What do you drive? The Forge RS valve has been specifically designed and engineered, to offer extreme flow rate capability, where other valves are just not up to it. Often when engines have been tuned by installing larger turbos or even software upgrades improved turbo response can be acheived by fitting the RS valve which has the greater internal mass air flow specification utilising an amazing 50mm (2”) bore. With a choice of inlet and outlet connections the RS valve can be matched to your engine perfectly. This valve incorporates a unique conical, progressive rate spring that can allow for the retention of boost pressure from 7 to 34 PSI depending on the individual user’s application and level of adjustment. Available as an Atmospheric Valve or Recirculating Valve.